Centrally located in Agate Bay, this well maintained three bedroom/two bath features newer flooring, ample winter parking, and an open floor plan for easy conversations. Buyers will appreciate being able to walk to the lake and also walk to the forest. Included in the sale is a membership to the Agate Bay Pier and Swim Club (community, pool, pier and buoy field and tennis courts). 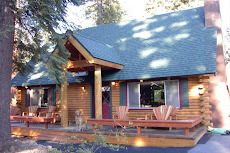 The cabin is listed for $510,000 and sold fully furnished for a turn key opportunity. The ski season is surprisingly close and Agate Bay Realty has over 25 north and west Lake Tahoe ski leases to choose. The ski leases are located between Kings Beach and Tahoe City and range from budget to luxury, many are dog/pet friendly, and get leased from either December 1 to May 1 or from January 4 to May 4. 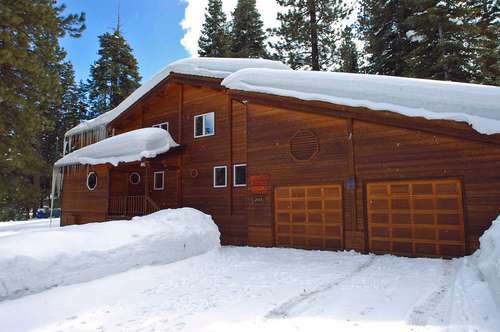 View the available ski lease homes and cabins. Inside each listing is the monthly rent, virtual tour, terms and conditions of the ski lease, Google map, and more. Our office also offers discounted lift tickets to Northstar California, Alpine Meadows, Diamond Peak and Squaw Valley. All of our homes are fully furnished and have free high speed wireless internet. 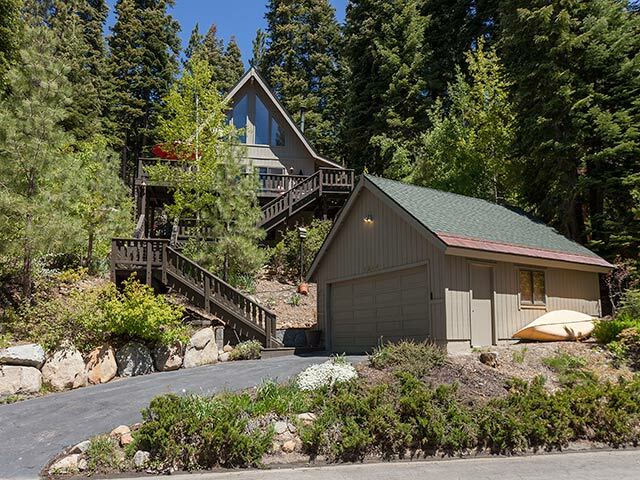 Centrally located between the lake, Tahoe Rim Trail, and Northstar, this 3 bedroom/3 bath Kingswood property provides quality and location. 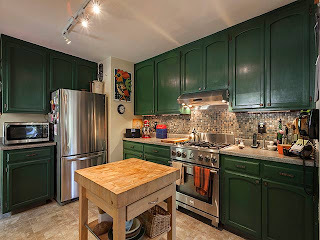 The house has been tastefully remodeled including updated flooring, gourmet kitchen, newer windows, three living spaces to spread out a group, and a nicely landscaped with hot tub area to help settle into Tahoe Time. The property faces due south for brighter and warmer winters and the outdoor enthusiast will enjoy the convenient access to hiking, biking, and skiing. The detached garage provides ample space to store both cars and all the toys that come with owning in Lake Tahoe. The kitchen features stainless steel appliances, new cabinets and counter tops and plenty of space to have "two cooks in the kitchen." 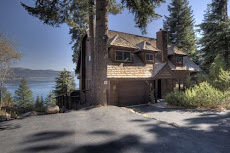 Summers are made easy based on the immediate access to the sand beaches and water activities in Kings Beach, the Tahoe Rim Trail, and the North Tahoe Regional Park. The property is listed for $524,800. Buyers can view other Agate Bay Realty listings. 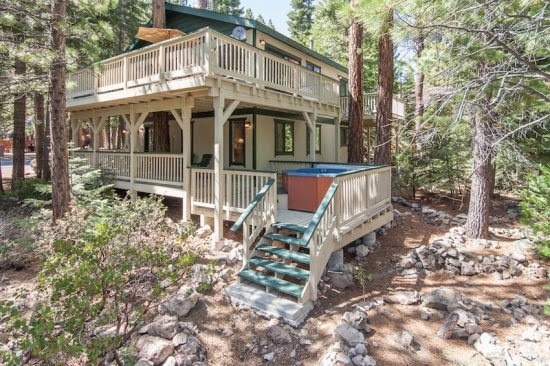 Property of the Month for April is the Wah North Tahoe Vacation Rental with Hot Tub. This four bedroom/three bath north Tahoe vacation rental home has been remodeled the last few years - all new carpet, furniture, appliances, upstairs and downstairs bathrooms, lighting and decor, and the redwood deck. 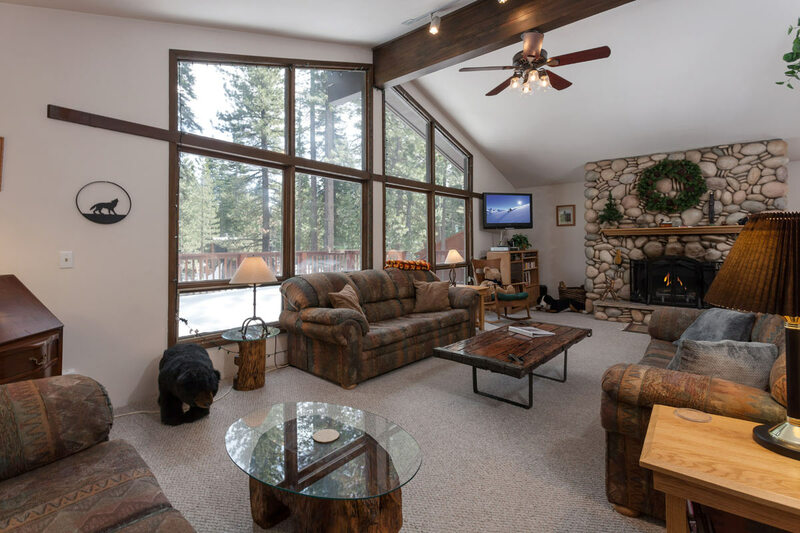 This rental home includes a large comfortable living room with scenic wall of picture windows overlooking the beautiful Tahoe trees and a 50 inch flat screen TV. Wood burning river-rock floor to ceiling fireplace, complete with large hearth and mantle. 4 Bedrooms - King, King, Queen, and two Twin Captains` beds and a trundle bed. Game Room - Featuring a nine-in-one game table, Flat screen TV/DVD, bookcase filled with games, puzzles and books, and a classic wood burning stove. The perfect place to get snowed in! Gas Barbecue. Hammock surrounded by beautiful trees. Guests can save $50 off the already low season nightly rate, $300 versus $350 the whole month of April. Guests will see the discount when they put their arrival and departure dates into Wah Vacation Rental webpage and click "Book Now." The Property of the Month for March is the Yankton Tahoe Vista Vacation Rental Cabin. The property offers wonderful seclusion since it is located on a private road and sits on a spacious parcel. The rental cabin features 3 bedrooms, 2 baths, a remodeled kitchen, new couches and carpet, wood burning fireplace, large deck for outdoor entertaining, and a loft area with TV & DVD for extra living space. Guests can walk to the North Tahoe Regional Park . Guests can save $50 off the already low season nightly rate, $175 versus $225 the whole month of March. Guests will see the discount when they put their arrival and departure dates into Yankton Vacation Rental webpage and click "Book Now." Guests also have the opportunity to purchase discount lift tickets to Northstar, Alpine Meadows, and Squaw Valley. Save $11 to $19 on adult tickets.